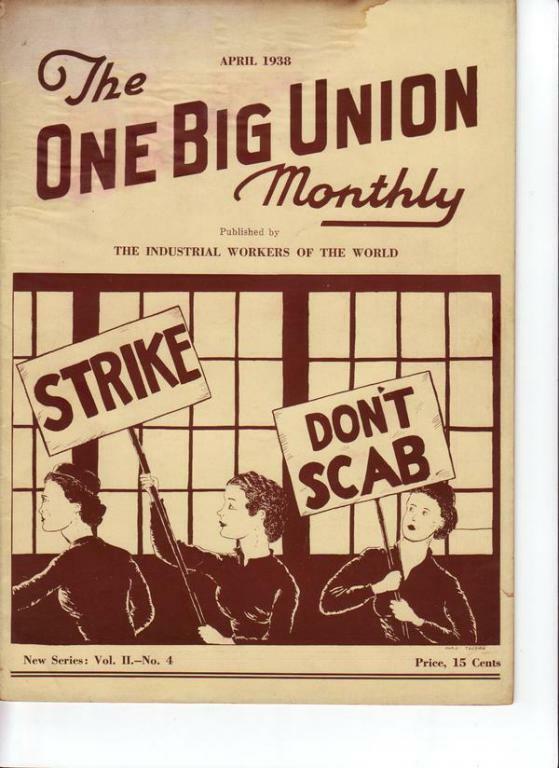 The August 1938 issue of The One Big Union Monthly. ], with articles on the Spanish Civil War, Work Peoples College, and the beginning of World War II. Contributors include Covington Hall, Eli Hill, Erland Hyttinen, Graham Robinson, Harry Monkkonen, Mary Marcy, Montana Slim, Raymond Galstad and Vera Smith. Enjoyed .... "Revolt of the brotherhood" by Covington Hall (need to read the second part).